Lily McDermott's life is suddenly turned upside down when she returns home from work early on the day of her three month wedding anniversary to fins her husband, Marc (with a C) in bed with an actress, who by the way has a lovely bum. Devastated Lily flees to best friends house and when she returns home, Marc has emptied their home of all of his belongings and has moved in with Nadia, the actress she caught him cheating with. 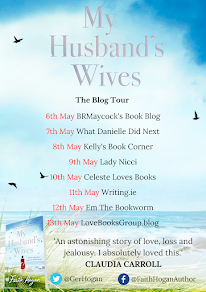 Lily is so devastated by the breakdown of her marriage after only three short months, Lily also finds herself jobless when her grief gets in the way of her carrying out her duties at work. Broken and wounded, with no job and no husband, Lily decided that she can either let what has happened to her make her or break her, and decided to set up a business doing what she does best, baking cakes. I jumped at the chance to review this book after I had heard so many great things, and I am pleased to tell you that everyone of those things is true. The Girl I Was Before is the perfect book to lose yourself in. This is the last book that I will get to read before I go back to college and it is just the tonic I needed. The Girl I Was Before is a laugh a minute and had me laughing out loud throughout. Izzy Bayliss is an extremely talented author, who I can't wait to read more of. As an author, one of the best presents you can give your readers in laughter and Izzy Bayliss managed to give this by the bucket load. I adore how this book is so effortlessly funny and full of witty one liners. I fell in love with Izzy from the very first page. She is just such a loveable character and I really admire the way she handled herself despite everything going wrong in her life. She is a very strong character that readers will really be drawn to. I think that Marc's character was very well written, I disliked him from the very first page and I felt that he was the perfect baddie. I couldn't have loved Sam more and I also adored Frankie. I was delighted to learn that this is the first book in a series because these are all characters that I can't wait to meet again. Although this is part of a series, I think that this book really stands out on it's own. A lot of books that are first in a series ends on a huge cliffhanger, but this one told a story of its own that will also allow it to be picked up in the next book and carried on. The Girl I Was Before is full to the brim with laughs and is brilliantly funny. 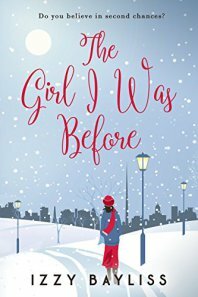 The wit and humour contained within the pages of The Girl I Was Before is what makes it such a bright and brilliant debut, by a very talented author. I am so looking forward to the next installment in this series and to see where Lily's story will take her next. I loved how it got straight into the story from the first chapter and flowed really well. Izzy Bayliss has written a real page turner and a story that flows very easily. This is definitely a "one more chapter" kind of book, but of course one more chapter was never enough for me. Because the book had many shorter chapters, it was very easy to read, as I find that books with very few long chapters can be very monotonous, and stops the story from flowing as easily as they should. This is a light read, that can be enjoyed at any time of year and is a real page turner, full of laughter and cake! What more could you possibly want in a book? The Girl I Was Before is the perfect book to escape into and to cuddle up with on these cold, dark nights that are so quickly approaching. Izzy Bayliss is a brilliant new Irish author that will definitely leave her mark on the Irish writing scene. I couldn't have loved this book more and it is the best debut that I have read this year. I will be counting down until I am able to get my hands on the next installment in the Lily McDermott series. I can't recommend this book highly enough.